There are a lot of nice IDEs for Ruby and Rails, but after a couple of decades as a Linux sys admin, the vi keyboard shortcuts are embedded into my DNA, so vim it is. The vim ecosystem has a lot of support (i.e. plugins) for the vim editor, but I have opted to just install the carlhuha Janus distro which includes all the cool plugins including Tim Pope’s vim-pathogen and vim-rails plugins. Some developers consider Janus to be overkill, but I can’t get excited about that. I am normally working on more than one application at any given time, so I need to set up a multi-development Rails environment. 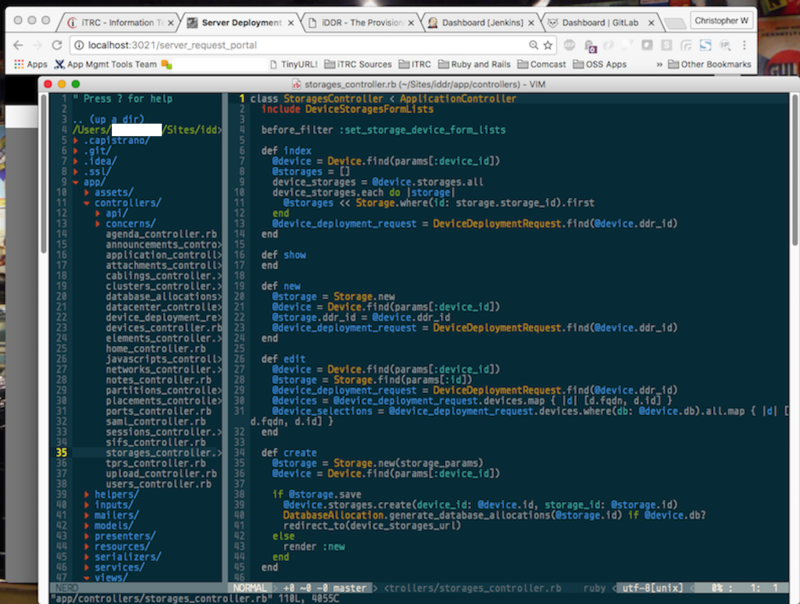 My best solution has been (OS X) iterm2 windows running tmux and configured with the tmuxinator gem. 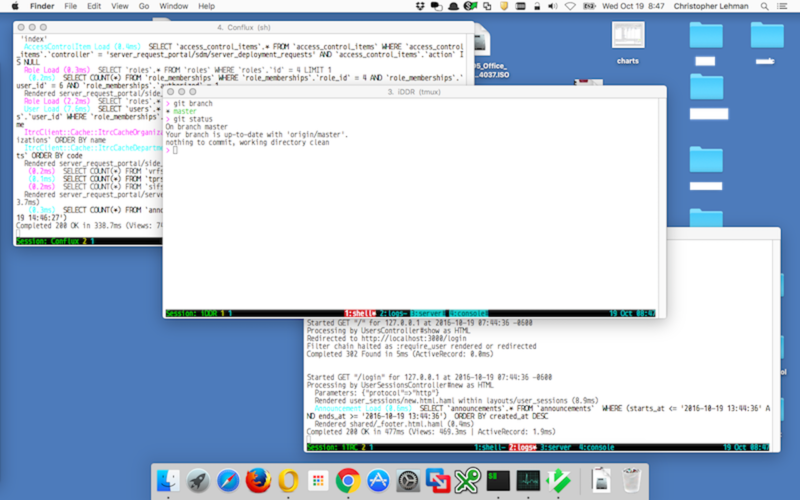 I have 3 iterm windows, one for each application, each iterm running 4 tmux panes for the shell command line, the Rails logger, the Rails server and the Rails console. This is especially helpful, because my apps are typically interacting with each other via API calls, so it’s nice to see the log files responding as I would expect – or not. That’s it. Not real exotic, but this environment works well on the Mac and also on the various Linux OS flavors.